Lawrence Arts Center in Australia! 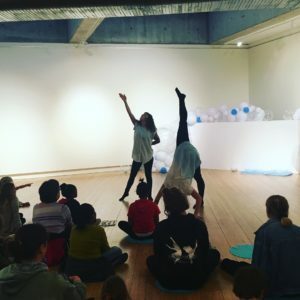 Amanda Pintore, Associate Director of Performing Arts and Education at the Lawrence Arts Center, traveled to Adelaide, Australia this month to represent the Arts Center at the Dance and the Child International Congress! The Dance and the Child International Congress occurs once every three years in a different location and invites dance educators, performers of all ages, and young audience members to come together and celebrate dance over the course of six days. This year’s congress featured over 800 delegates from 29 countries. 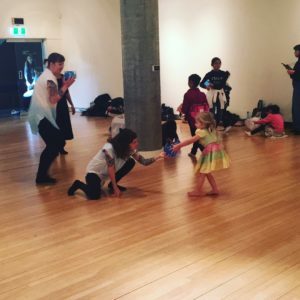 Amanda creates work with and for 2-5-year-olds at the Arts Center through our Theatre and Dance for the Very Young program. 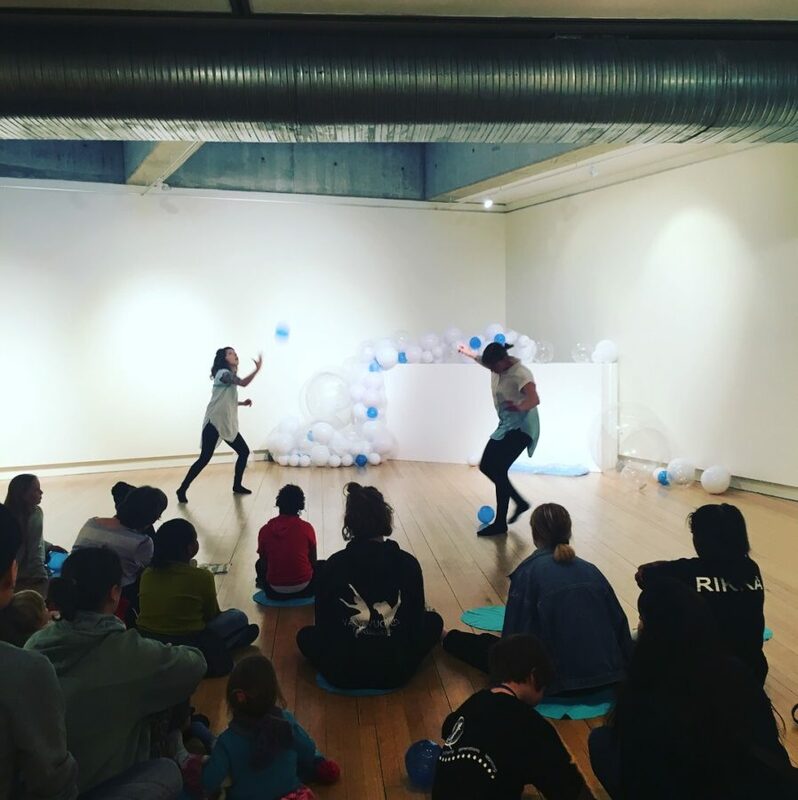 In Adelaide, she performed wonderwander, a dance performance she developed with Kerfuffle for very young children and their families. She also led a workshop for professionals on her method of developing work in our Play Lab series, a research space for very young children, their caregivers, and local artists. During this workshop, participants learned about Dot, Amanda’s most recent work for the very young, which premiered at the Arts Center this past April. 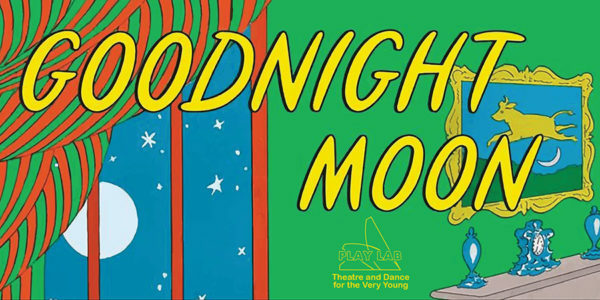 Wondering what’s coming up next in our Theatre and Dance for the Very Young program? 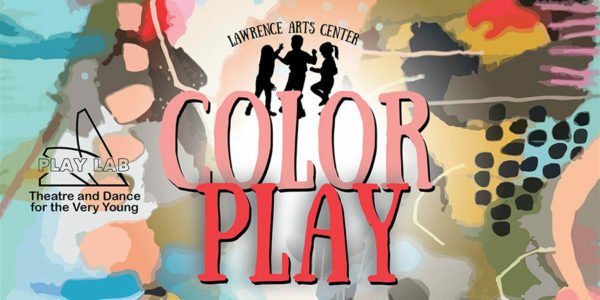 You can join us October 5-7 for Color Play, a theatre performance for the very young. What does blue sound like? What does green do when it wakes up in the morning? How does orange dance? Performers in Color Play explore how children think about color through a performance directly inspired by the ideas, movements, and words of children ages 2-6 in our Play Lab series. Very young audiences will enter an interactive world where colors can make noises, have wild dances, and create delightful surprises. 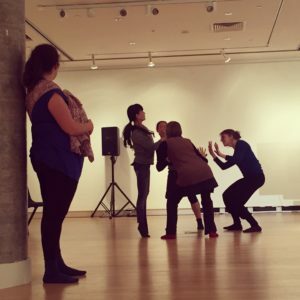 The performance itself will involve live music, exploratory art, and moments of interaction with the audience. Color Play is built in collaboration with the Center of Creative Arts in St. Louis, MO.